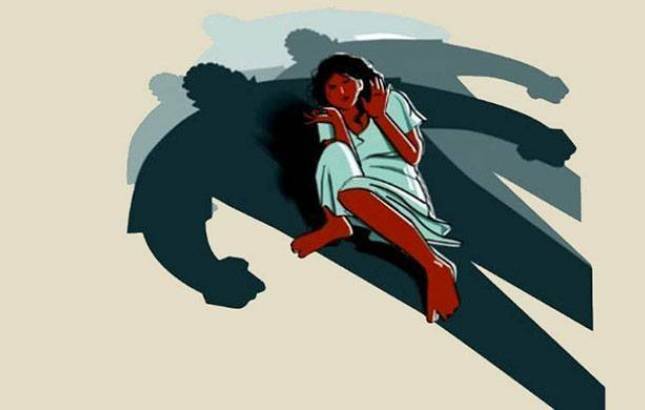 A policeman was booked in Alirajpur of Madhya Pradesh on charges of abducting and sexually harassing a 15 year-old girl, a senior police official said. A policeman was booked in Alirajpur of Madhya Pradesh on charges of abducting and sexually harassing a15-year-old girl, a senior police official said. Narrating the sequence of events, Superintendent of Police Vipul Shrivastava today said, "Constable Dilip Jamre(24) and an unidentified accomplice went to Sondwa area on Thursday afternoon on the pre text of investigating a case despite there being no case which he was authorised to probe." He said that the two concocted a story and started interrogating people. "During the course of this interrogation, he asked the victim to accompany him on his bike to the police station. However people got suspicious and started following them. They found out that the constable was taking the victim to anisolated place," the official said. He said that the accused touched the victim inappropriately and then fled the spot when he saw people approaching. On Thursday, the victim filed a complaint after whichan initial probe showed that the constable and his accomplice had behaved inappropriately, the official said. He said that yesterday, a case was registered againstthe constable and his accomplice for kidnapping, wrongful confinement and sexual harassment. Relevant sections of the Protection of Children from Sexual Offences Act (POCSO) werealso invoked. "Further investigations are underway. A search is onfor the accused who are absconding," the official said.